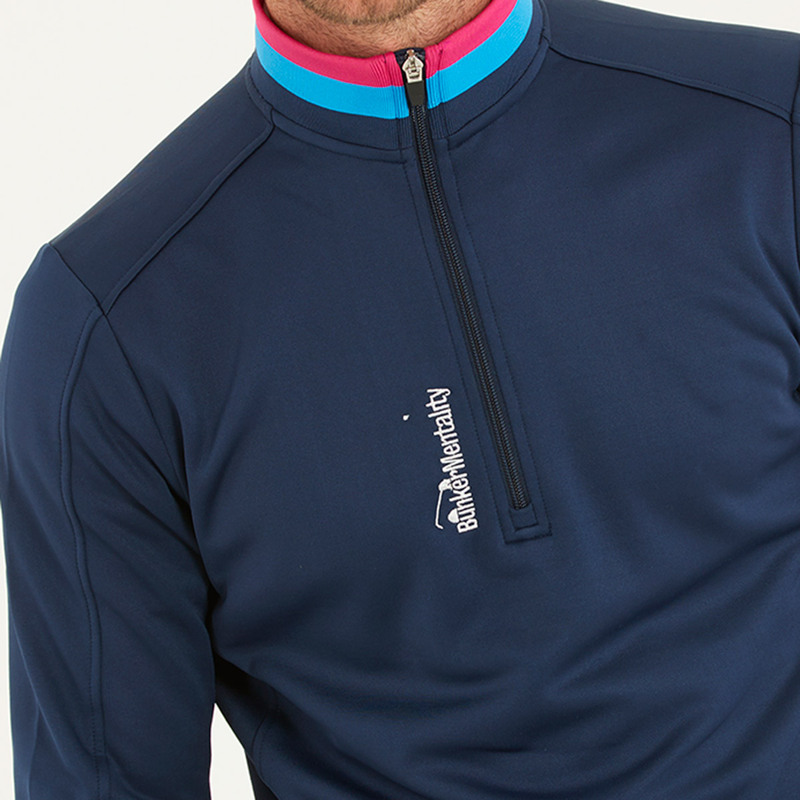 This fleece lined mid-layer has a 360-degree stretch to give you greater mobility and movement as you play golf. The garment has a 1/4 zip opening and has been styled with bold colour accents on the collar and cuffs. 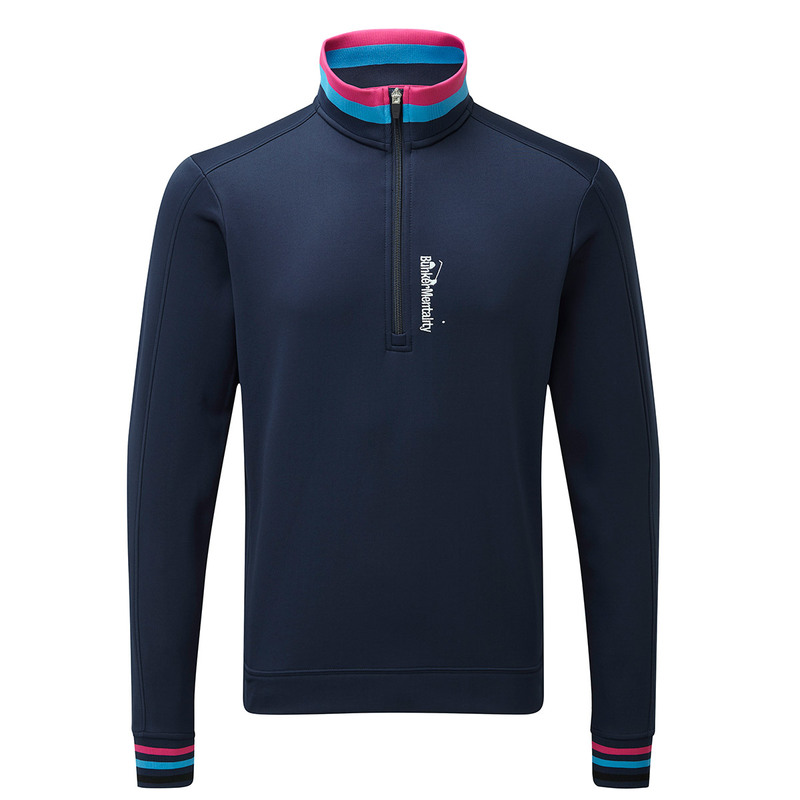 This has been designed to keep you warm with moisture wicking properties to ensure you remain dry and less distracted during your round and is branded with discrete bunker embroidered logo on the front panel, back neck and right sleeve.